Imagination is working with Canon this week at the Photokina trade exhibition in Cologne. 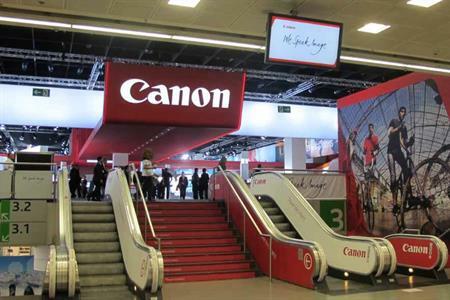 Imagination has designed and created Canon’s presence at the event at the Messe Cologne (Koelnmesse), taking inspiration from Canon’s new ‘Power to’ slogan. Canon’s stand is divided into four main display zones showcasing Canon’s new products being launched at the show, as well as its other technologies. Meanwhile, Imagination has created a strong brand presence throughout the show’s public areas. Around 180,000 visitors from the photography and imaging industries are expected to attend the Photokina exhibition from 18-23 September, and attend a series of workshops, congresses and symposiums. Visitors to the Canon stand can engage with the brand using wi-fi enabled cameras to upload images to Facebook. A daily news report ‘Canon Live’ is also being uploaded onto Canon’s YouTube channel, while visitors can also learn from Canon Ambassadors in the auditorium. Canon client services director at Imagination Guy Stevenson said: "Photokina is a key event for Canon as it is an opportunity to not only showcase their latest technologies and products, but also truly engage with customers. We feel this year we have delivered more than just an event; we have created an interactive experience that allows visitors on-line and in Cologne to experience the brand first hand."